In a statement, the Treasury said infrastructure investment would be at the heart of the Autumn Statement on Wednesday, with chancellor Philip Hammond prioritising ‘investment that boosts productivity and ultimately living standards’. 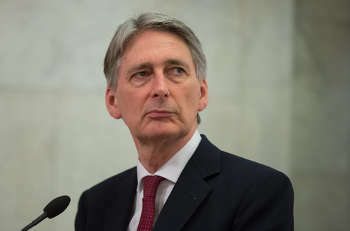 Mr Hammond will also seek to provide ‘a stable economic platform as the UK leaves the EU’, with an industrial strategy published in the coming weeks. According to the Treasury, he will take a different approach to the Autumn Statement, ‘by announcing top level spending decisions rather than announcing full details of individual projects’ and should not be ‘doing spending departments’ jobs for them’. Mr Hammond is said to have worked with transport secretary Chris Grayling to identify and prioritise projects that make an immediate impact. A cash boost for local roads and transport will be part of a wider infrastructure package with Mr Hammond pledging ‘billions of pounds for projects all over Britain’. A Department for Transport source said: ‘We are building and improving roads because they are at the very heart of what makes communities work - linking people with jobs and businesses with customers. In an article for the Observer, shadow chancellor John McDonnell claimed that the Government’s commitment to the Northern Powerhouse ‘has always been a media exercise’. The Road Safety Foundation, which last week published a report arguing for a systematic approach to measuring and managing risks on the road network, welcomed the extra spending, but called for ‘a firm commitment to tackling high risk roads’.